If you are looking for ketone supplements you have probably experimented with a keto diet and have most likely heard how ketone supplements have been proven to help you stay in ketosis. Here is an overview of ketone supplements and a few good brands to try. Ketogenic diets incorporate foods that are low-carb and high fat. One of the main reasons people try a ketogenic diet is to lose weight, or more specifically fat. While “going keto” can definitely help with weight loss, there have been promising studies that show it can also help fight against diabetes, cancer, Alzheimer’s, and epilepsy (1). Ketone supplements are a great way to help with your diet and achieve your health and fitness goals. We’ve researched and reviewed the best ketone supplements on the market. What Are the Benefits of Taking Ketone Supplements? Ketone supplements help put your body in a state of ketosis, which means it switches it’s primary energy source from glucose (sugar) to ketones (fat). If you can stay in a healthy sustainable state of ketosis your body will undoubtedly burn fat, resulting in weight loss. Another excellent benefit is improved cognitive function. It has been reported that your brain’s preferred source of energy is ketones. Most people experience much improved mental clarity and focus while in ketosis. These supplements can also increase your athletic performance. According to studies, ketone supplements can help with muscle recovery after a workout (2). Fast muscle recovery encourages a more consistent workout routine, because you will be less sore from your previous workouts. What’s the Best Way to Use Ketone Supplements? First off, if you are new to taking ketones you need to make sure you ease into it. Your body will need time to adjust, and if you take too much ketones you may experience some side effects (more on that below). Depending on your fitness goals, many ketone supplements are recommended for use as a pre workout supplement. The best way to use these supplements is by mixing the formula in a liquid. Usually, cold water is sufficient enough to dissolve the supplement. However, some products advertise that you can mix them with coffee, coconut milk, and even shakes. Simply scoop the powder into your drink of choice and shake it in a blender bottle for about ten seconds until it dissolves completely. If you’re going to consume it before a workout, drink it between 15 – 60 minutes prior to training. You can also use ketone supplements on days you’re not working out. On off days, it’s best to use ketone supplements about 30 – 60 minutes after eating breakfast in the morning. While there are many health benefits to consuming ketone supplements, there are also some side effects as well. The most common reported side effects usually happen when someone consumes too many ketones too fast, without letting their body adapt to the new energy source. When people do this it can lead to stomach pain, cramps, nausea, and diarrhea. Others say they experience the jitters, insomnia, elevated blood pressure, and rapid heart beat (3). Furthermore, supplementing ketone products on a daily basis can significantly decrease your blood glucose levels (4). If your blood glucose levels drop too low, it can cause hypoglycemia, which leads to short term complications like confusion or dizziness (5). Again, it is important to understand this can be a big change for your body. It is very important to start slow when beginning ketone supplementation. Try to find ketone supplements that are in line with your health goals. Avoid supplements that contain sugar, carbs, or caffeine. Consuming caffeine could potentially disrupt your ketosis state, which would be counterproductive to your fitness plan. You also want to stay away from ketone supplements that contain artificial additives like food coloring or preservatives. Instead, look for supplements that have vitamins or amino acids listed in the ingredients. The amino acids can help break down fat and give you added energy (6). It’s important to find a ketone supplement that you can stomach. Some of the supplements that you may have tried in the past may not taste great. However, there are ketone supplement flavors that help mask the strong taste of ketones, which makes it easy for you to drink on a daily basis. When taking ketone supplements, it’s important that you only take the recommended dosage. If you’re just starting out, you can also try using half of severing until your body adjusts to the supplement. We conducted the research to find the best ketone supplements on the market. Here are the top five options to narrow your search and make it easier to find what you’re looking for. KETO CLEAN - No carbs, no caffeine, no sugar, NO GUILT! Just the highest quality exogenous ketones and a delicious orange mango taste you'll crave. 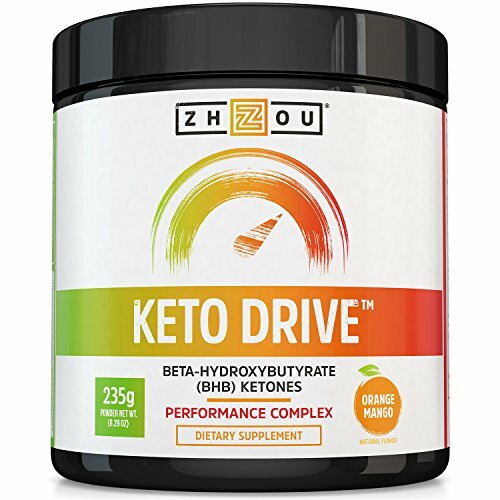 The Keto Drive BHB Salts has a refreshing flavor. Unlike other supplements that you have to force down, you might actually enjoy the taste of these ketone supplements. Normally, ketone salts have a strong taste, but the tropical flavors of this drink help mask the aftertaste that’s associated with ketone. If you’re trying to lose weight, I’m sure you’re avoiding carbs and sugar. There’s no carbs, no sugar, and no caffeine in this mix either. Supplements with caffeine can keep you wired and make it difficult for you to fall asleep, so it’s a bonus that they left caffeine out of this formula too. These salts mix easily with water and shakes as well. Simply mix the powder into a cold beverage without having to worry about it clumping or mixing unevenly. The Keto Drive BHB Salts help you accelerate your performance. It increases athletic endurance, mental performance, burns fat and sustains energy. All of these benefits are multiplied when you combine this drink with exercise. The BHB Supplements with goBHB helps give you energy instantly. Your energy will also be sustained throughout the day as the blood ketone levels in your body increase. The beta-hydroxybutyrate salts deliver energy without giving you the jitters. Not only does your body get powered, but your brain does as well. This keto salts mix is a great option for your pre workout routine. Taking these supplements before a workout can help accelerate your muscle recovery, which keeps your fitness plan on track. It’s a versatile pre workout supplement as well. You can take it before weight lifting, running, or sports to help maximize your athletic endurance. It’s flavored like raspberry lemonade, so it doesn’t taste like your drinking a supplement. The flavor is great and it goes down easily. This is made to mix with water or any other water based drink. 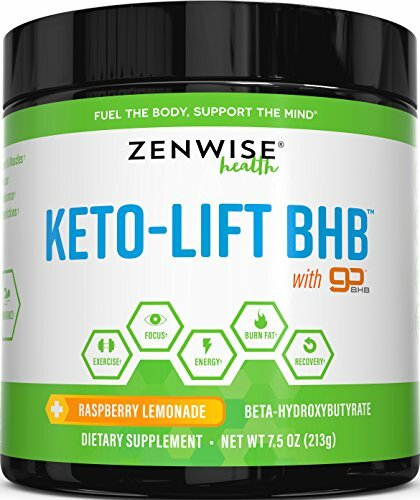 Zenwise (product creator) didn’t add any carbs or caffeine into this formula, which encourages weight loss. Combining this drink with proper exercise should help burn excess body fat, it’s a really great option to help you slim down and shed some pounds. The Perfect Keto supplements are designed for people that are on a ketogenic diet. If you have trouble getting back into ketosis after consuming carbs, you can raise your blood ketone levels with this product. 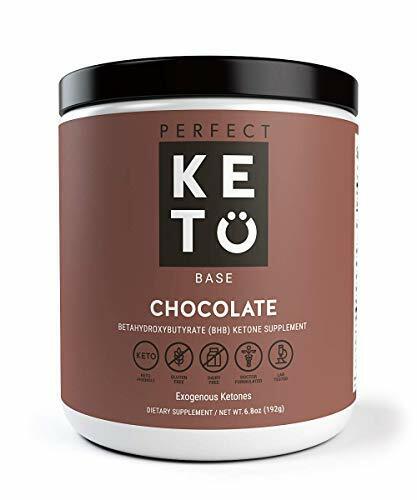 Perfect Keto makes this product in the USA. It contains high quality beta hydroxybutyrate (BHB) that’s been tested in the Perfect Keto laboratories for efficiency and purity. You can easily mix this formula with water. If you prefer mixing it with a beverage that has more flavor, it also mixes well with coconut milk, coffee, and shakes. Compared to other ketone supplements, it’s one of the better tasting products you’ll find on the market. It doesn’t taste like artificial ingredients because there are no additives. It doesn’t contain any carbs, gums, or fillers. The Perfect Keto formula does not have any added sugar either. Most people who tested this experienced raised energy levels and sustained ketosis. Both of these will help you burn fat and lose weight. All of the ketone supplements that we reviewed can help you achieve your health and fitness goals. However, the Keto BHB Salts Supplement with goBHB – Beta Hydroxybutyrate Exogenous Ketones is the clear winner. The Keto BHB Salts Supplement with goBHB fits the bill for everything we outlined earlier on how to choose a ketone supplement. It has a great flavor, no carbs, no caffeine, and mixes easily with all water-based drinks. Overall, ketone supplements are a great option to help you with your ketogenic diet. If used as suggested, these supplements can enhance your muscle recovery, physical endurance, and also your mental clarity. If you are ready to give ketone supplements a try, you can’t go wrong with any of the products reviewed here.